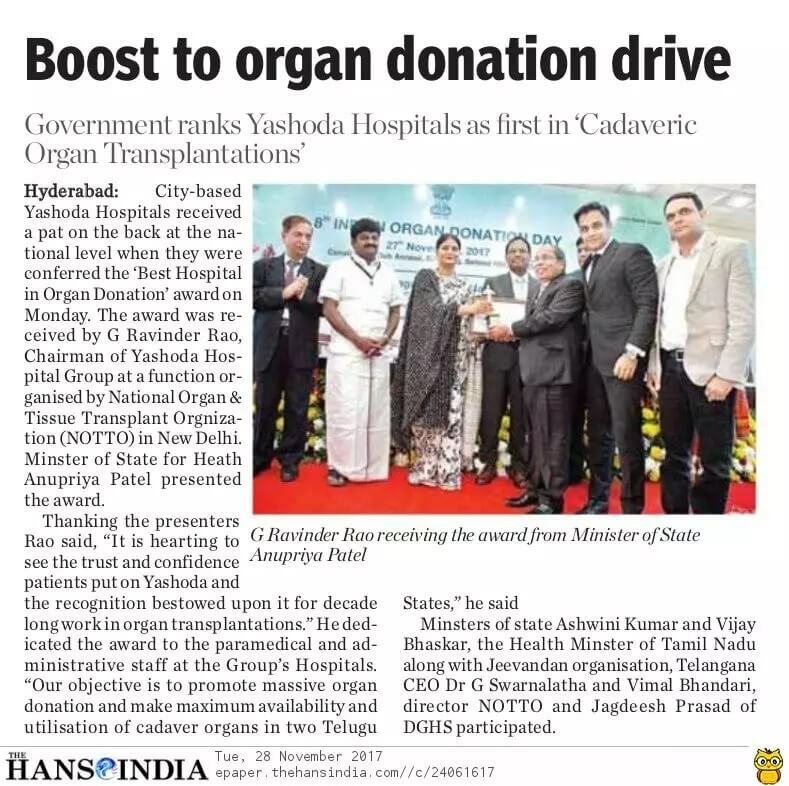 Yashoda Hospitals Group, Hyderabad is the leading medical center where a large number of organ donations and cadaveric organ transplants are done in the country. 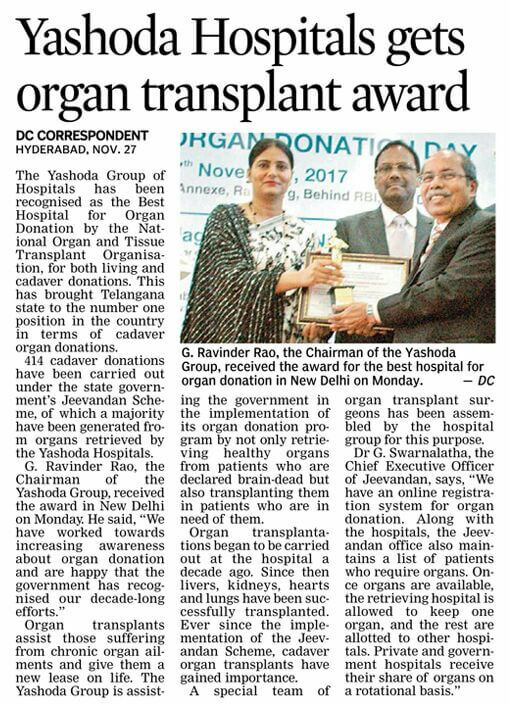 It is on the frontline not only promoting organ donations and transplantations but pioneering in life Liver, Kidney transplantations. 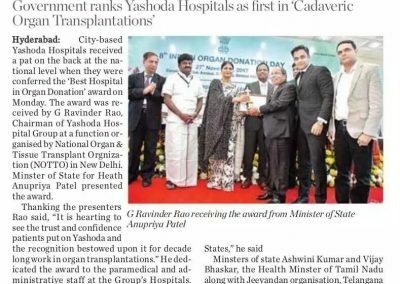 A decade ago Yashoda took up Liver, Kidney, Heart, lung transplants in a big way. 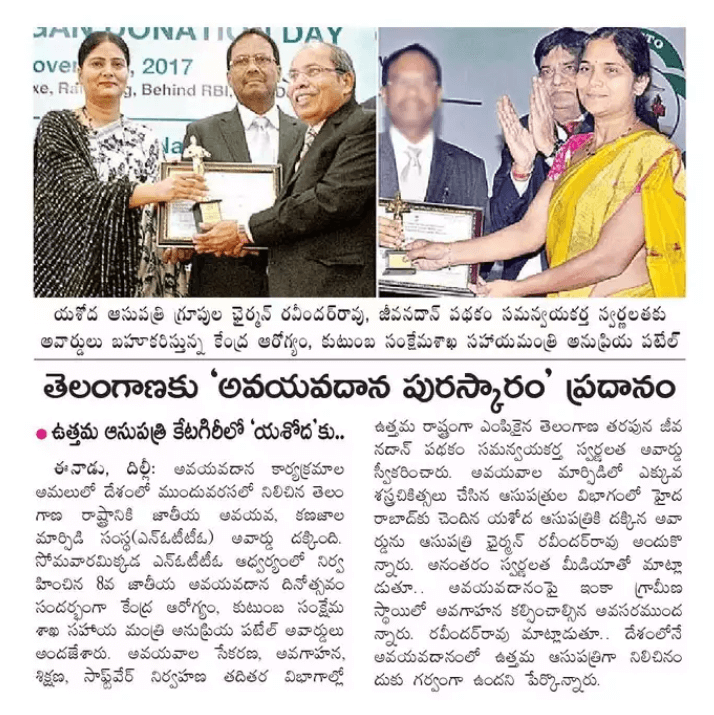 With a special emphasis on saving patients with life-threatening Complete liver failure, Chronic Kidney Disease, Heart failure. 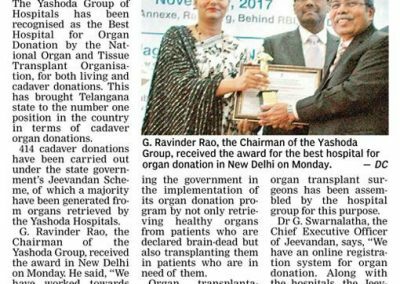 Yashoda Hospitals Group has established separate centers for these key organ transplants Surgeons trained, worked with prestigious national and international medical centers are conducting organ transplants on a regular basis throughout the year. 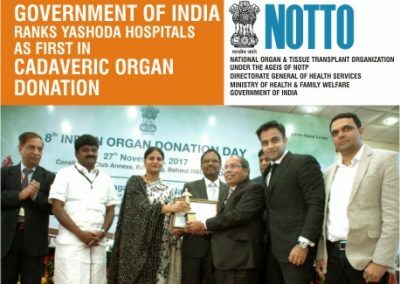 This in-house transplant surgeon teams and centers with world class state of the art exclusive operation theaters have set a new benchmark in organ transplantation in the country. 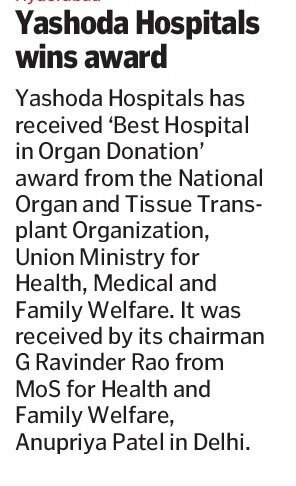 With this Yashoda Hospitals Group’s organ transplantation centers can achieve the highest rate of success in transplanting the key organs. 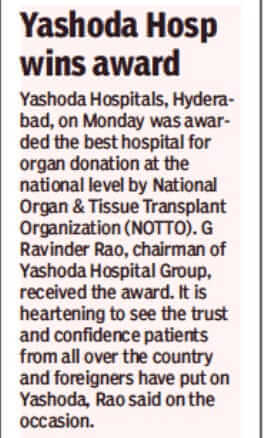 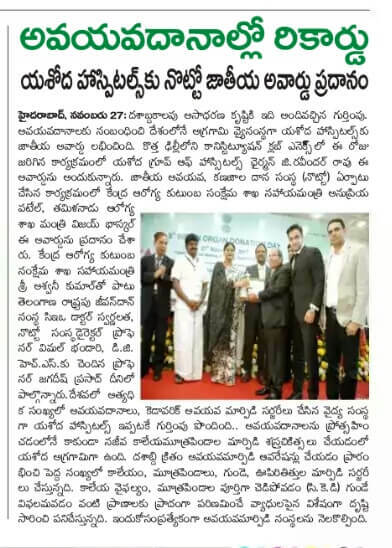 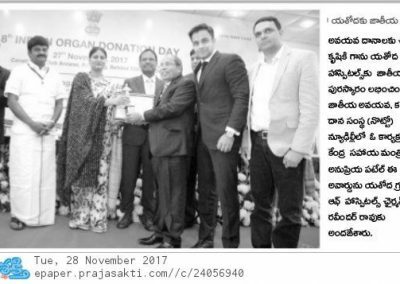 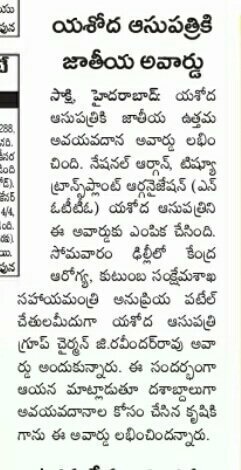 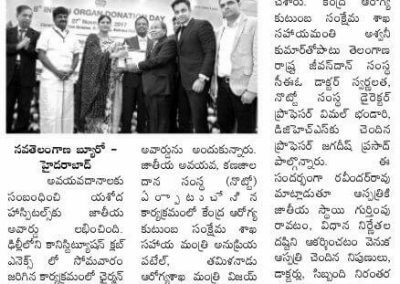 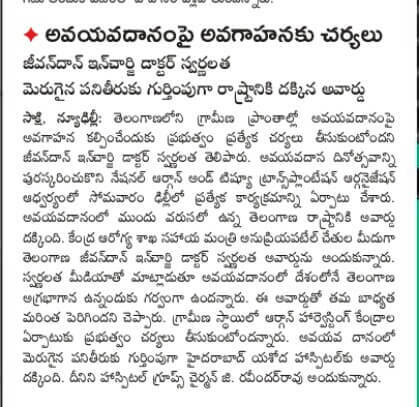 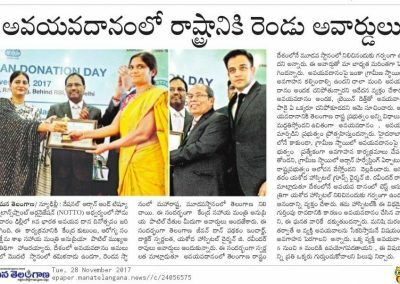 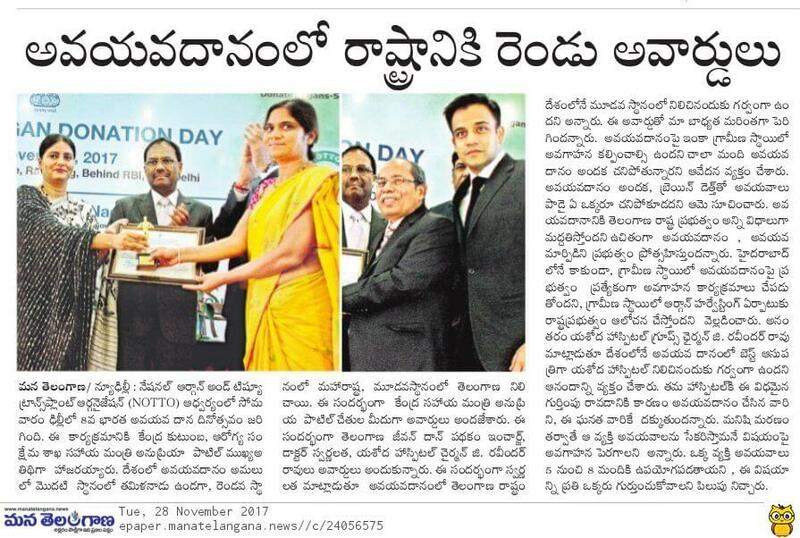 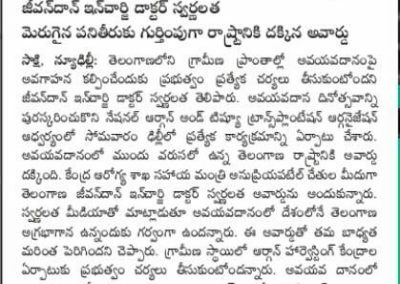 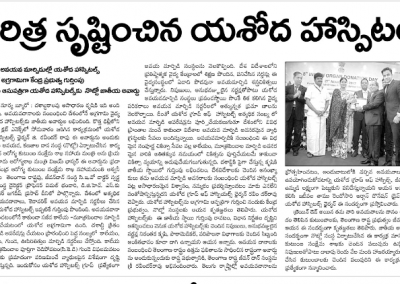 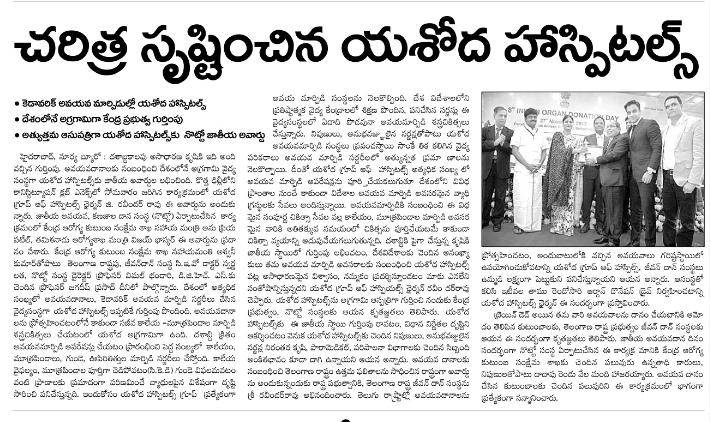 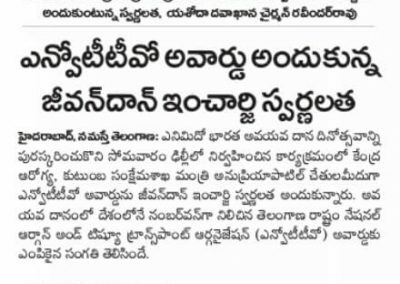 These facilities with expert transplant surgeons and success rate patients from not only from all parts of India but many other countries are coming to Yashoda Hospital, Hyderabad for organ transplant needs. This complete medical service not only saves time, especially in case of Live liver and Kidney transplants But also expenses for all life preserving organ transplants. 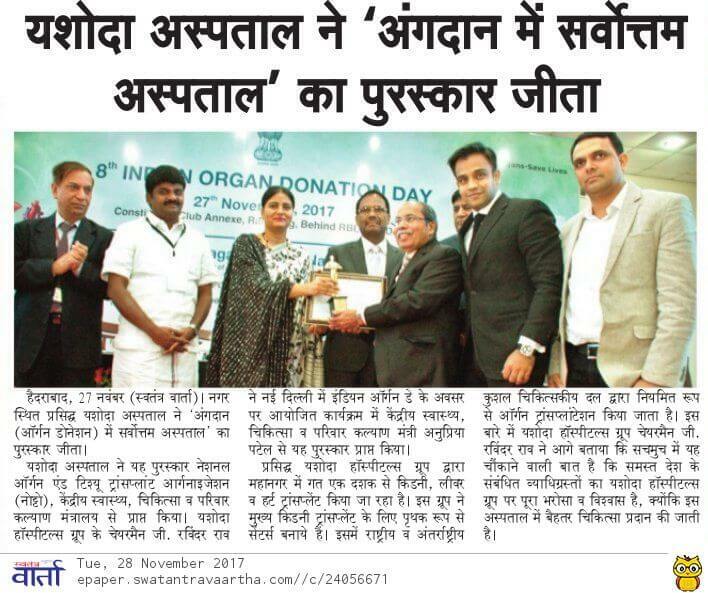 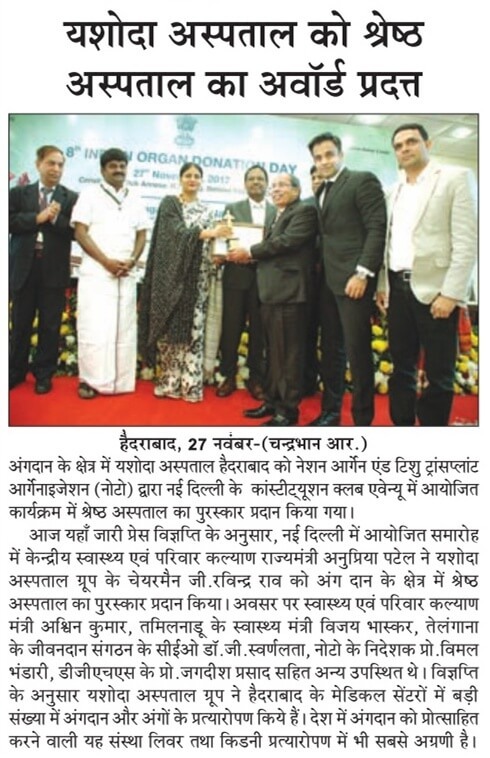 The who is who of the Union Ministry of Health & Family Welfare and Medical Institutions striving to encourage and involved in Organ Transplants were present at this programme organized on the occasion of 8th Indian Organ Donation Day. 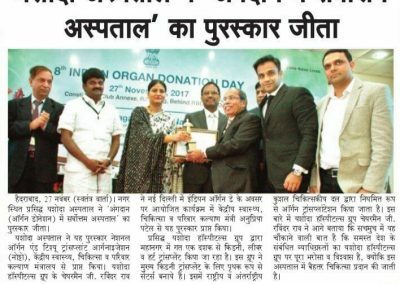 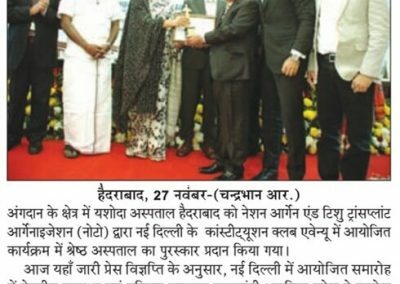 Two thousand invitees have attended the programme Some of the Donar’s family members were also felicitated on this occasion.